In lieu of flowers memorial donations may be made to Church of God (Holiness) Ghana Project and left at the funeral home. 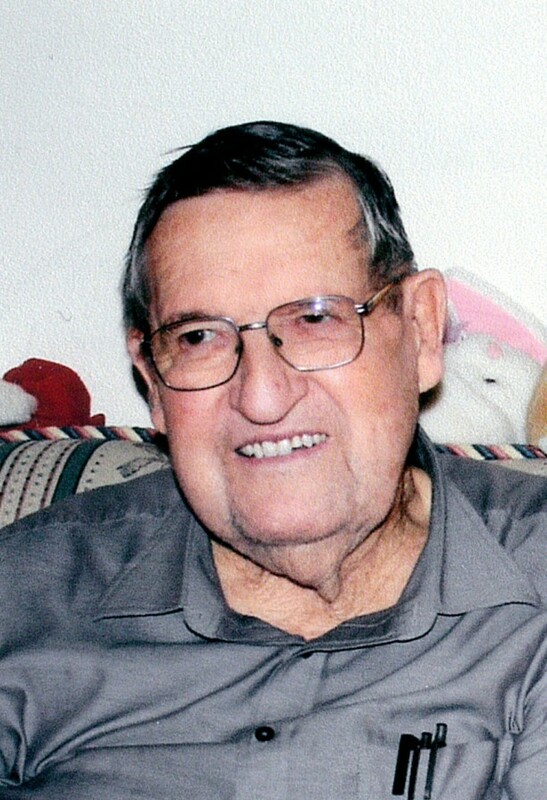 Lester Ray Witt, age 90, of El Dorado Springs, MO, died on August 19, 2015, at the home of his son, Larrel. Lester was born February 2, 1925, in St. Clair County, MO. He was preceded in death by his parents, Bailey and Ada Witt; six brothers: Curtis, Aubra, Joe, Gene, Charles, and Cruce; daughter-in-law, Judy Witt; and granddaughter, Tonya. Lester is survived by his wife, Lee Etta of El Dorado Springs, MO; two sons: Lonnie Witt and wife Leta of Gravette, AR, and Larrel Witt and wife Janice of El Dorado Springs, MO; five grandchildren: Luke Witt and wife Dorothy of Gravette, AR, Lyle Witt and wife Michelle of Cincinnati, OH, Lisa Profitt and husband Aaron of Cincinnati, OH, Marcus Witt of Olathe, KS, and Oleta Witt of Olathe, KS; eleven great-grandchildren; one sister, Loriane Sands of Lockwood, MO; and a number of nephews, nieces, and a host of friends. Lester has served the Lord faithfully since his teens. He was sanctified at age nineteen at Herriman Chapel Camp Meeting. He was a veteran who served in the occupation army in Germany. Since he was raised during the Depression, he was always very careful to manage his money well. In the community, his reputation for honesty earned him the nickname “Abe” from his peers. Lester was a hard worker who held factory jobs until he started building construction for himself. Building was his love and he built about sixty-five houses during his career. He was also involved in the construction of several churches and helped with construction projects at a number of Christian schools, Harmony Hill Youth Camp, and on several mission fields. Lester was a faithful and loyal supporter of every church he attended and served several decades as a deacon where he and Lee Etta attended church. Lester was a faithful husband and father, who was willing to, and did, make sacrifices for the good of his family. Many mourn his loss, but heaven has a greater attraction for us. Funeral services for Lester Witt were held on Saturday, August 22, 2015, at 11:00 a.m. at the El Dorado Springs Church of God (Holiness). Rev. Joe Dodson and Rev. Silas McGehee officiated. Music was provided by Wanda Casey and grandchildren: Luke and Dorothy Witt and Lyle and Michelle Witt. Burial followed in Love Cemetery under the direction of Bland-Hackleman Funeral Home.